Updated: PRC released a total of 9,671 out of 29,591 passed the Criminologist Licensure Examination. 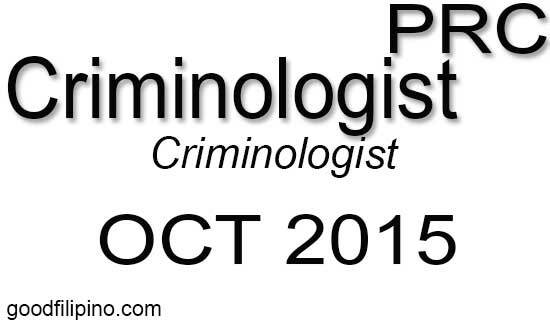 The Professional Regulation Commission announced on November 26, the October 2015 Criminologist Board Exam results. The Passers with surname starting from Letters A-B-C-D and E are now posted on this page. Comments or suggestions about "October 2015 Criminologist PRC Board Exam Results | Exam Passers Letters A-B-C-D-E" is important to us, you may share it by using the comment box below.